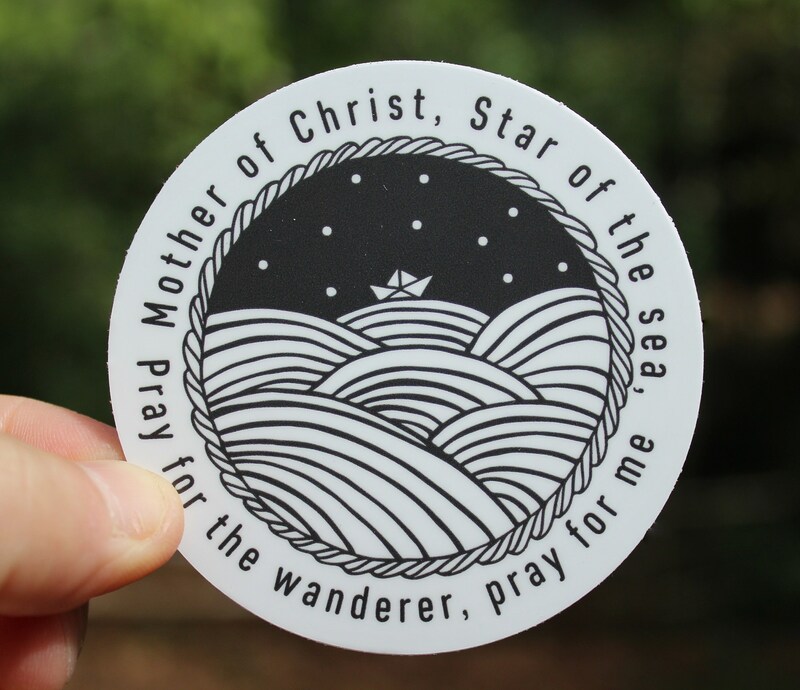 These is our "Star of the Sea", Stella Maris Stickers! The stickers are 3 x 3 inches in diameter, thick, and made of durable vinyl that protects your stickers from scratches, water & sunlight. Great for your Nalgene bottle, car bumper, journal, or school notebook. Gaze out over the waters of your life mindful of that split-second before you add labels and interpretations. Be still and feel the vast maze of connections that are part of you. Discern how everything you touch in turn borders something or someone else, as sea touches sea, that we are all in one harmonious alignment. 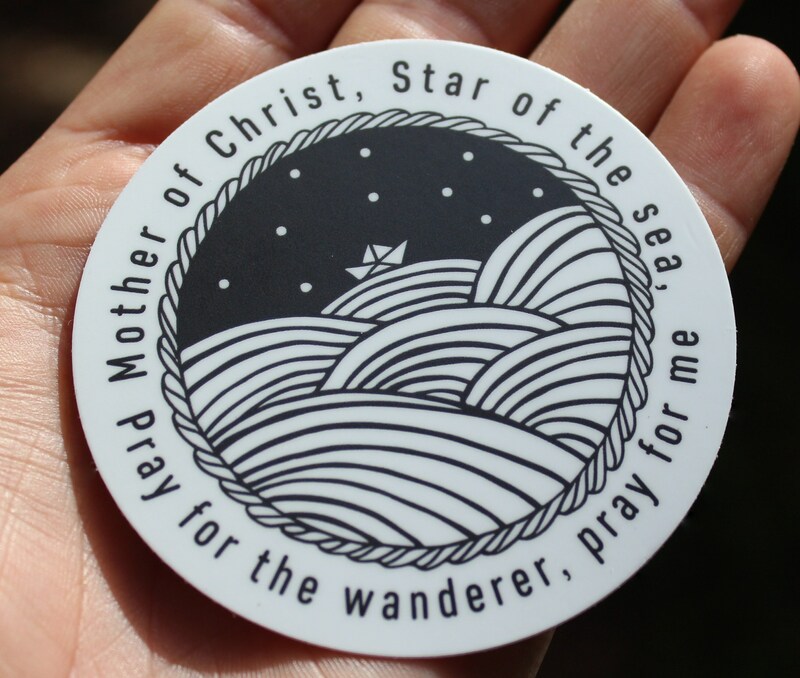 Build upon your awareness that each moment spent on the water is precious, to trust in Stella Maris, the Virgin Mary, Star of the Sea, until it is your time to shift yet again, like water to cloud, and sail into uncharted waters. 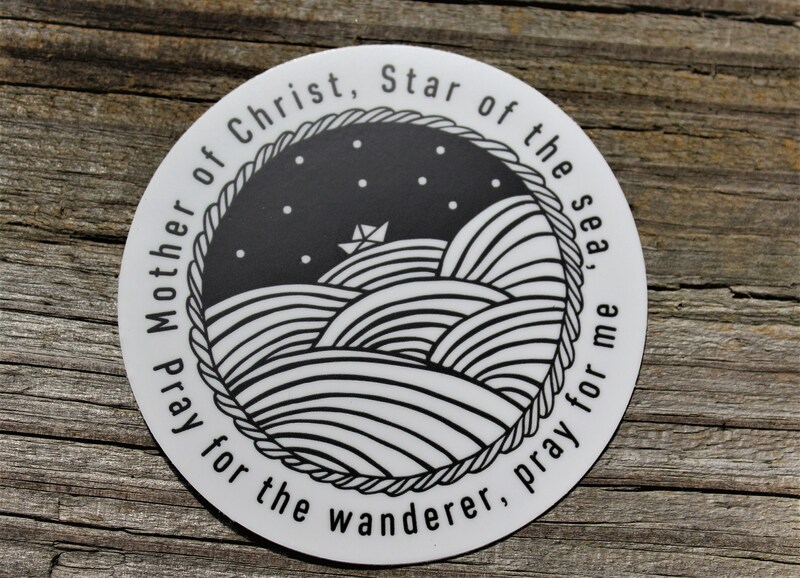 I love this prayer and the stickers are fantastic! Love being able to carry this around with me.